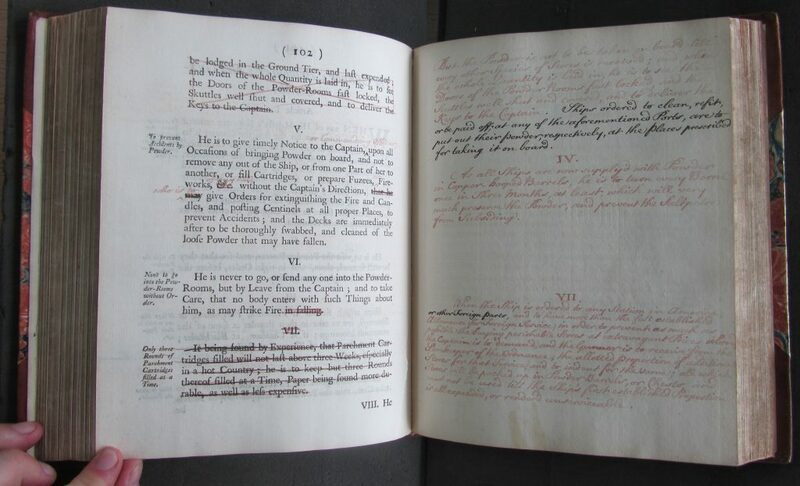 The Royal Navy’s Regulations and Instructions were one of its key documents, and were the embodiment of the rationalization of the Royal Navy’s “professional” conventions. 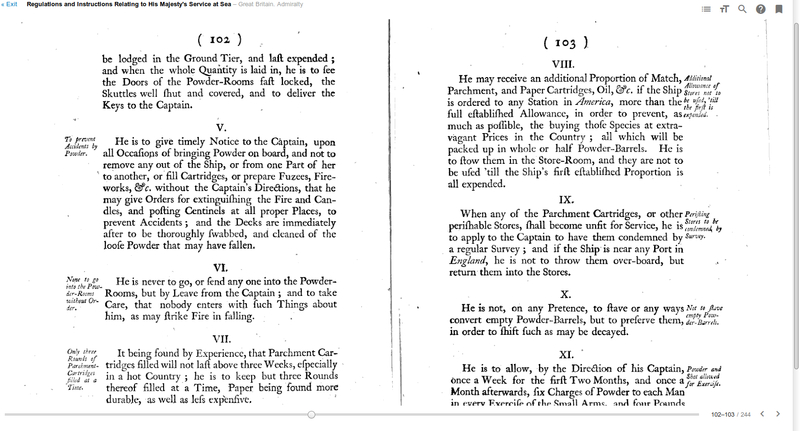 From 1661, the Royal Navy had numerous sets of instructions, for example for Commanders (issued from the 1660s), for Lieutenants (issues from 1677), and for other roles (Victuallers, Pursers, etc). Beginning in 1731, these diverse documents were combined into a single document. 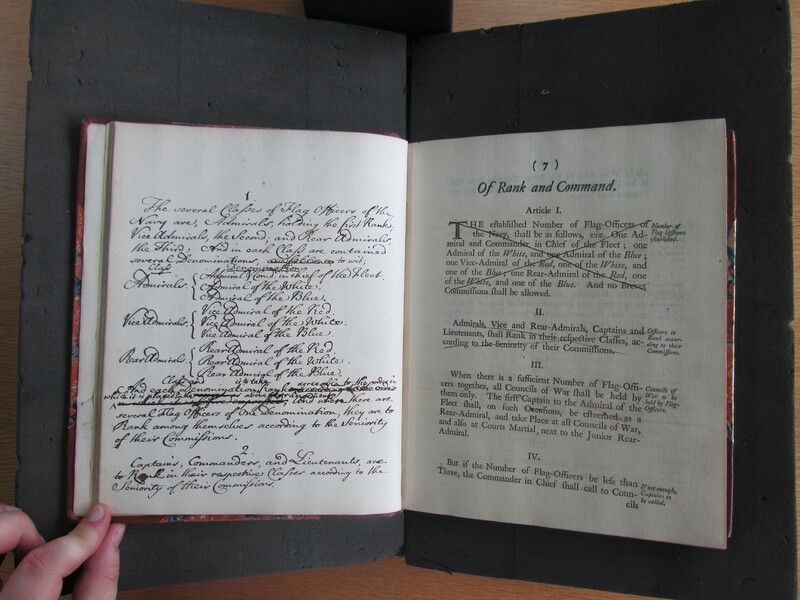 A memorandum from December 1730 discusses the creation of the Regulations and Instructions. 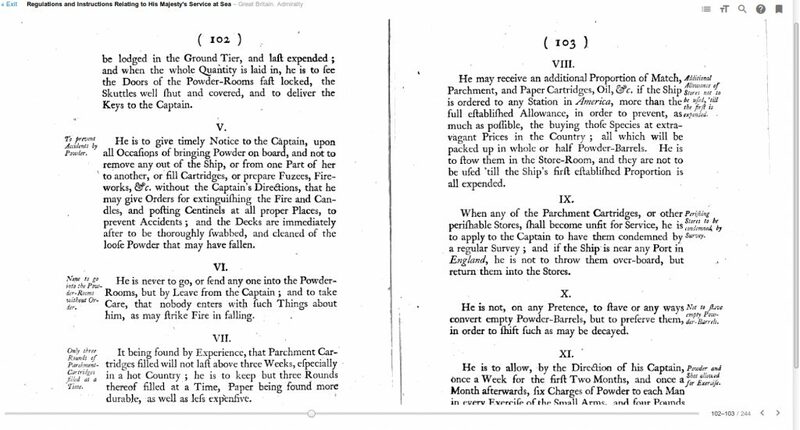 The affairs of the navy, which your Majesty is pleased to commit to our management, having given us occasion to observe that the captains and other officers of your Majesty's ships are liable to fall into mistakes and omissions in the execution of their duty, by reason of the perplexity of their present instructions, occasioned by length of time; we have therefore thought it necessary for their better direction to collect into one volume the several rules and orders now in force in the navy, to which we have made such additions and alterations as (with the advice of the Navy, Victualling, and Ordnance Boards) we have judged proper. 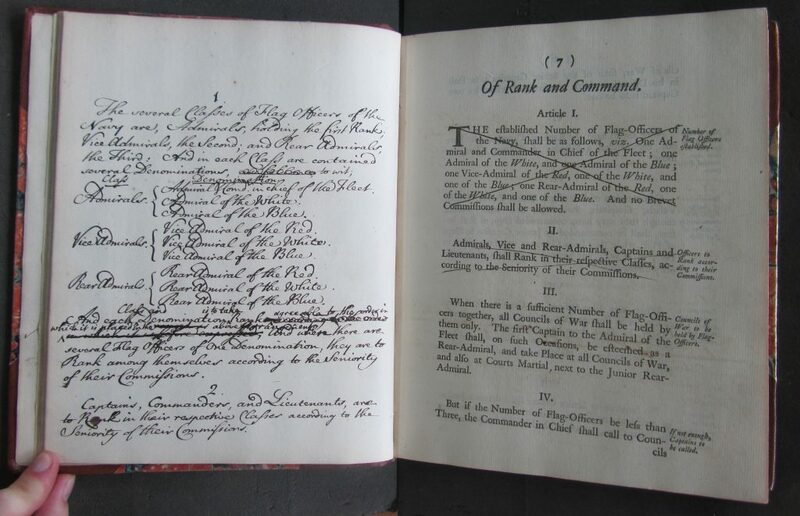 And having reduced the whole into distinct chapters, and under particular heads, that the officers concerned may have a more speedy and easy recourse to them, we do herewith humbly present the said book to your Majesty for your royal approbation, the intent of these instructions and regulations being to support and improve the discipline and good economy of the navy. For my PhD, the Regulations and Instructions were an incredible resource because they allowed me to show and quote from ~90 years of development on a very tightly related group of documents, and also were one of the most important examples of ‘institutional conventions’- the counterpoint to the statutory definitions in the Act for the Establishing Articles. Together, these conventions and statute definitions formed what I described as the Royal Navy’s ‘Westminster Model’ constitution. As part of my research, I looked at a lot of different versions of the Regulations and Instructions. Some I found online, unfortunately the National Museum of the Royal Navy took down that portion of the site. However, many editions are actually available on Google Play. At the National Archive (Kew), copies of these instructions can be found in ADM 7. 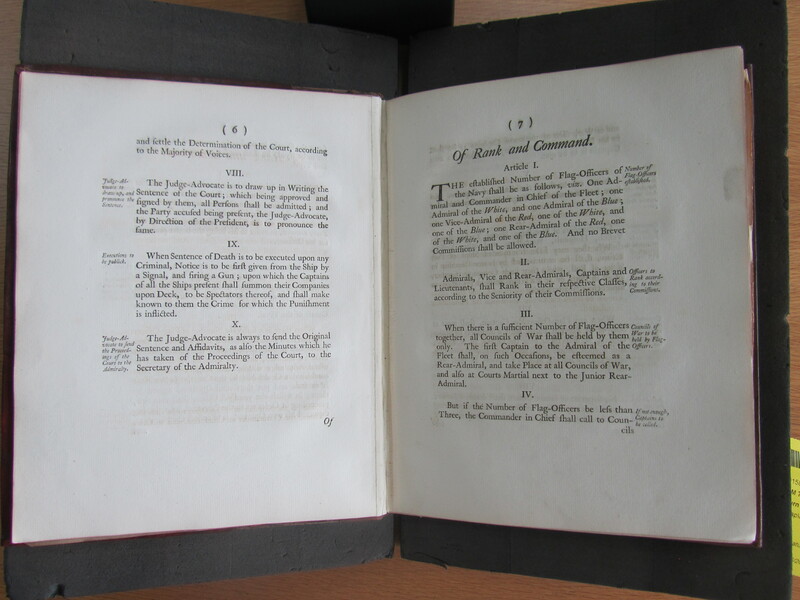 The most interesting of these volumes is ADM 7/201- a version of the Regulations and Instructions printed in 1746 (the sixth edition), single-sided so that alteration and corrections could be written in. Here’s one example. This is really interesting because it’s a slight restatement of the text, however it wasn’t adopted. Here, we have an image from ADM 7/202, the Regulation and Instructions of 1747.
and here we have a screenshot of the same pages from the 9th edition of the Regulations and Instructions, published 1757.
and here, again from the 9th edition of 1757. 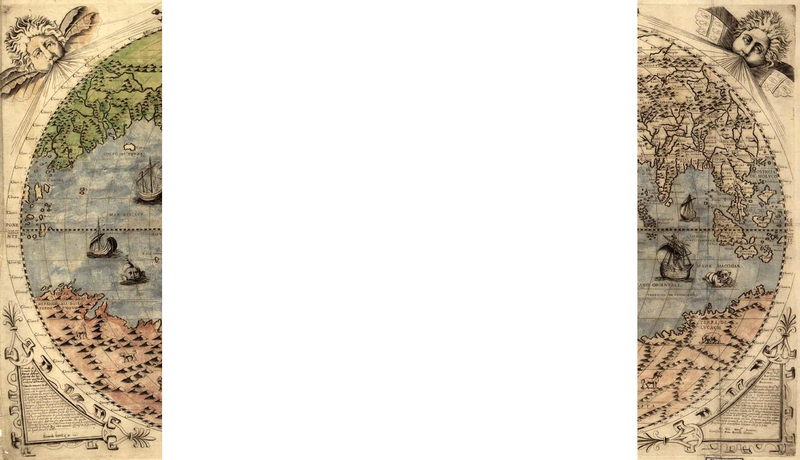 What I love about this document is that it represents institutional planning for change, and for incremental developments in the Royal Navy’s professional definitions. Further, it provides a “convention” counterpoint to Anson’s roughly concurrent (and in parts, unsuccessful) attempts to alter the Articles of War. 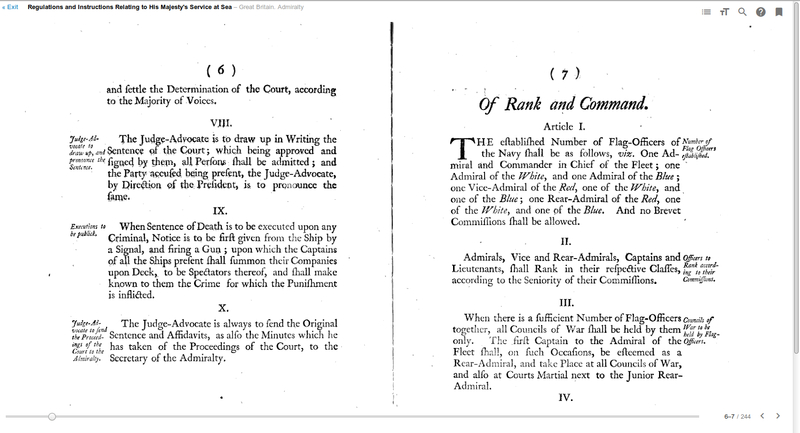 The Act for Amending, Explaining and Reducing of 1749 was very similar to the Regulations and Instructions of 1731 in that it rationalized the Royal Navy’s statutory definitions. This is further discussed in chapters 4 and 5 of my PhD thesis. I would love to take my analysis of this document further- for example, I’m pretty sure that there are at least 2 different people creating corrections (the red and black ink, for example). Unfortunately, I didn’t take photos of the whole volume, so I’ll have to go back to Kew.